This post does contain affiliate links. I will receive a small compensation when orders are placed through my link. 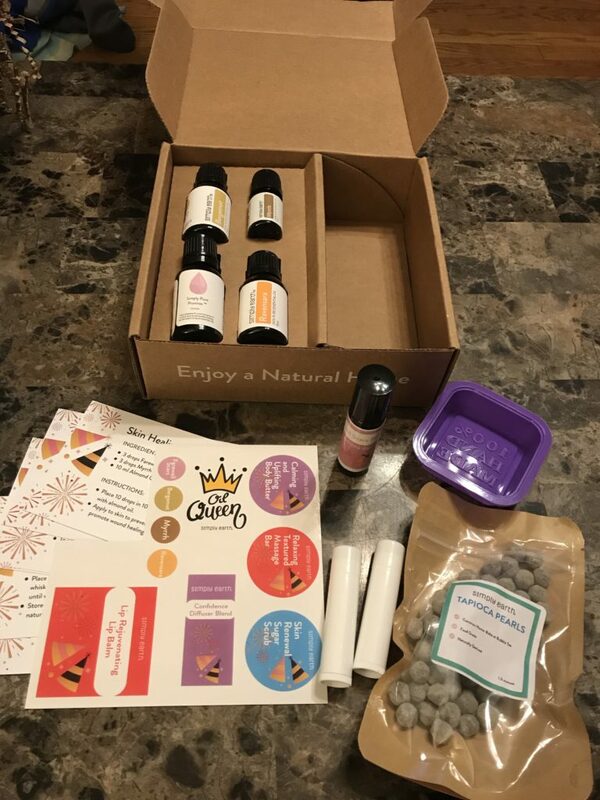 Simply Earth essential oil recipe box is just what you need to build your essential oil collection, introduce yourself to essential oils, or to get new ideas to use essential oils. I have a subscription to Simply Earth essential oil recipe box. I pay for it myself, this is NOT a sponsored post. I love using essential oils in my daily life. Working in the medical field myself I like to use them as a compliment or in addition to things I’m already doing for myself. 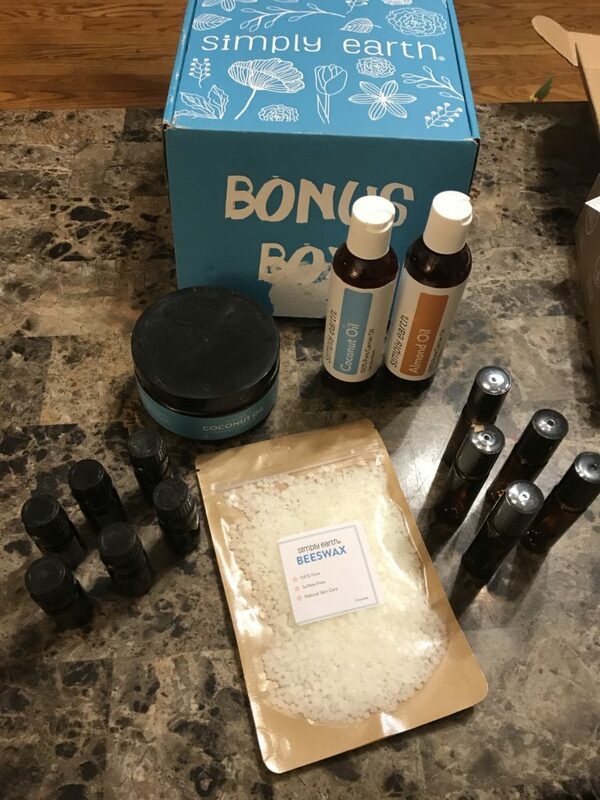 I received my January box with my bonus box and it’s definitely worth every penny and more. I also tested my coupon code and got a $20 gift card to use. I decided to use mine on an essential oil storage box. I’ll receive it in my February box. When I signed up I got the bonus box with me as well as the free $20 gift card. The brown box featured below is what the regular monthly boxes look like. The blue box is the bonus box. Each monthly box comes with essential oil recipes cards, 3 – 4 full size essential oils, and ingredients/tools you’ll need to help with some of the recipes. For example, in this box one of the recipes is for a “relaxing textured massage bar” so I received a mold for the bar, beeswax, coconut oil, tapioca, pearls, and the essential oils needed to make the bar. They also provide labels so you can label your items once you’ve made them which I think is pretty cool. 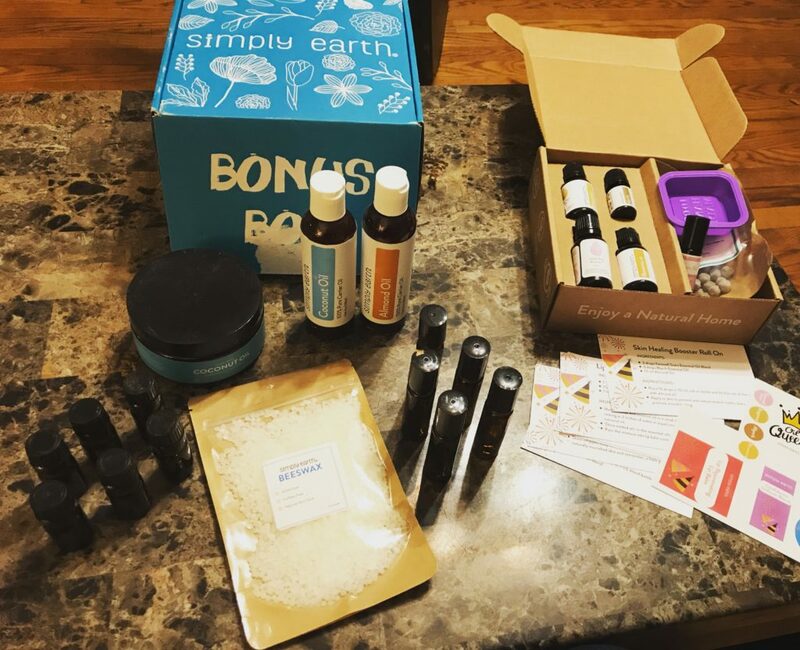 The bonus box came with a few carrier oils, extra rollerballs, extra essential oil bottles, and beeswax. Always using rollerballs for something so it definitely helps to have extras! 13% off Simply Earth profits are donated to organizations to help fight human trafficking ! 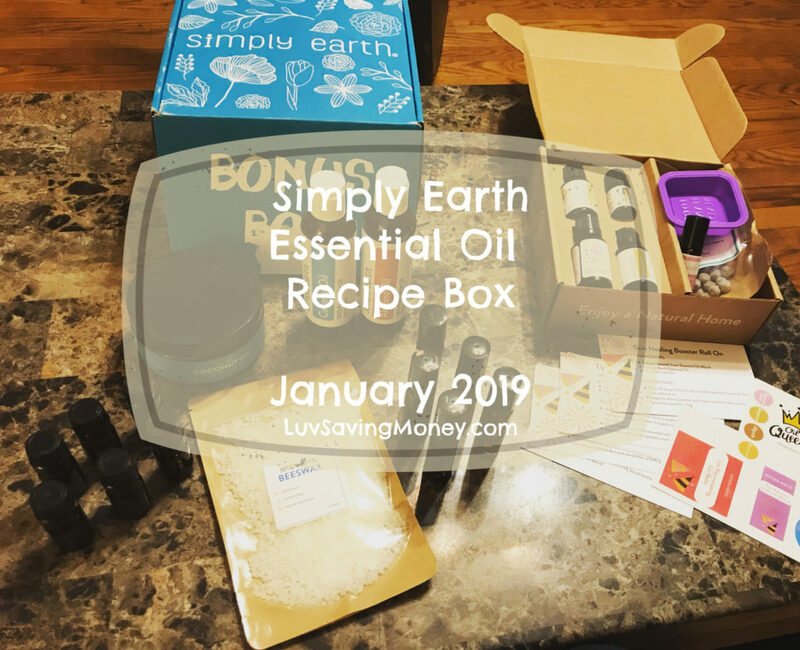 If you decide to subscribe to Simply Earth essential oil recipe box use code: ANGELABEECHANFREE to get your free $20 gift card when you subscribe!